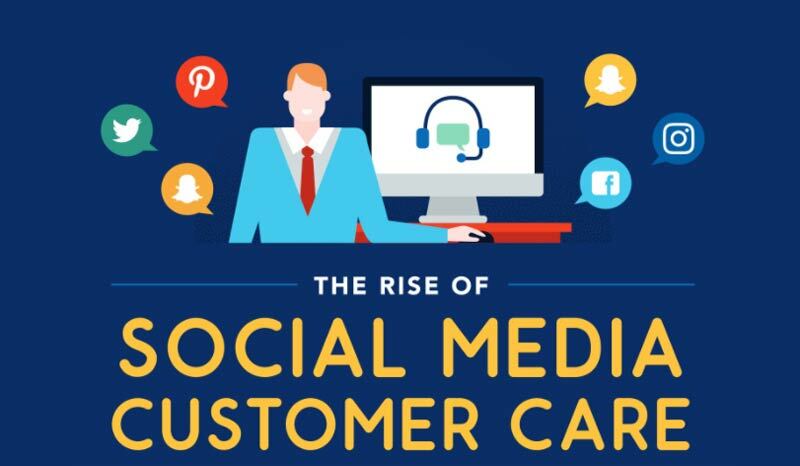 The Rise Of Social Media Customer Care (Infographic) | GUI Tricks - In Touch With Tomorrow! The Rise Of Social Media Customer Care (Infographic) - GUI Tricks - In Touch With Tomorrow! If you are a business or brand, likely at or near the top of your list of important concerns is your customer care strategy. Customers, after all, are what drive a business, and building better relationships with those customers can be the key factor is ascertaining whether your business will have longevity or simply fade into obscurity. It takes, in some cases, years to build a customer base that can support a brand and only a few seconds to throw it away. Poor customer care equates to unhappy customers and clients that will not be loyal and will go to a competitor. According to facts and statistics from website builders uk, 95% of businesses would agree that their customer care practices have a direct impact on their brand image. Yet, many are failing to keep up with a sector that is changing due to social media and its widespread adoption. Social media customer care, or SMCC, is a rapidly growing customer care channel that is the future of the industry. Here is what you need to know. The modern day consumer is very different than their conventional counterpart. Not only do they have shorter attention spans, but due to instant gratification lifestyle trends and spending so much time online, consumers no longer crave personal interactions via older existing channels. Of customers surveyed, over 1/3rd preferred to receive their customer care needs via social media. With less than 20% preferring the phone operators of decades past, the toll-free numbers that drove the industry are in their twilight. Furthermore, 63% of customers expect your company to offer SMCC and that rate is growing exponentially. 90% of social media users have already used social media to communicate with a brand and if you haven’t optimized your strategy to take this into account, you are already falling behind. 70% of people are more likely to use a brand’s product when being reached out on social media, and 31% of customers turn to social media to make pre-sales enquiries. Additionally, 71% of consumers with a positive SMCC experience are likely to recommend the brand to others and 30% of people will go to a competitor if a brand doesn’t respond online. SMCC is cheaper than conventional phone channels and provides better ROI than other channels, as well. Good SMCC also pushes customers to spend between 20-40% more and brands experience 3 times more increase in revenue by resolving a negative tweet. With more and more of your customers connecting with you online, it's important to identify and implement changes to your customer care strategy. With many of the world’s top brands already establishing strong SMCC practices, it’s important not to get left behind and lose your market share. If you need more convincing into the potential and trends that will be the future of customer care, check out these stats and facts on the rise of SMCC. This infographic is shared here with a legal permission of WebsiteBuilder.